Epidote is a calcium iron silicate mineral that results from a monoclinic crystal system and has grown from prismatic crystals. These minerals are also found in mineral makeup of the form calcium in mica, iron in iron oxides and silica. 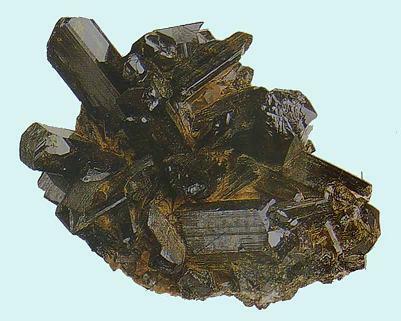 Often occurring in its fibrous and granular habits, it is most known for its distinct black tone. Rarely does it take a dark green or yellow green tone. As a metamorphic rock, it has originated from many other minerals, which include albite, quartz, chlorite, garnet, vasuvianite, diopside and calcite. It also forms in igneous rocks. Metamorphic and igneous rocks carry healing properties. Perhaps this explains the radical meanings and chakra properties that epidote carries to dispel negativity and strengthen the effects of positive elements in one's life. Epidote originated from the Greek word epi and donal, which literally means having one side that is often larger than the other. Of all its spiritual feats, it is its identity in enhancing perception and personal power to strengthen the rays of positive influences in one's life, and in removing all ingrained resistance to bring about spiritual awakening. In any situation, it keeps one centered, his thoughts and mind focused on his purpose and on the realization and acceptance of his attributes. Hence, it carries a powerful capacity to dispel negative elements and negative energies, which makes this stone an invaluable healing tool for a crystal therapist in coaching a person to initiate the healing process and look after oneself. 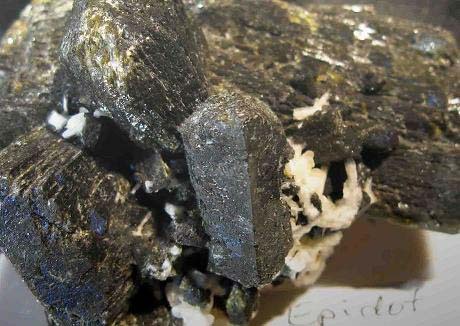 On the physical note of our being, epidote helps push us to out limits for us to realize our potentials. It allows us to live up to our demands, but in appropriate fashions. In allowing us to realize and accept our strengths and weaknesses, we are guided in using our attributes to keep up with the demands of our lives, with little room for failure. Hence, the stone harmoniously expands and develops our abilities while we discover and learn to admit our weaknesses. To promote healing, epidote works out a stronger immune system, powering our defense against elements that could impede the progress of our lifework. As the central organ of regeneration, the stone stimulates liver functions, encouraging the production of gall and hastening digestion from the mouth to the intestines. It helps overcome the physical weakness and exhaustion following influenza. In sense, epidote nourishes out physical self by ensuring that we get optimum benefits from the food we eat, which in turn fortifies its spiritual benefits. An element of earth and water, epidote is known for its power to embrace positive patterns to attract the goodness of the elements that one emanates. It is an ally that aids one's transmuting density into energy. It brings relief to emotional and behavioral stresses by striking against negativity and reflecting its positive and enlightening energy in contrast. In dissolving the blockages that interfere with the natural balance in our spiritual and physical self, it strengthens out drive to pursue our dreams. It gradually sets our personal demands and standards higher, but in alignment to reality. It simply make us realize and appreciate what we already have and help us put it to good use. In inundating negativity, epidote makes the unbearable bearable and the truth visible. It basically enhances specific outcomes, such as abundance and prosperity, but in alignment to the abilities that we have. It catalyzes the creative process of gilding one's future to aspirations. Yet, it attracts positivity with meditation, healing with crystal therapy and a full life with acceptance of the things that we have and do not have. Just think, when wearing here.